My daughter Aurora is quite the little fashionista. She loves to pick out her own clothes on shopping trips to Target and H&M, and always puts her two cents in when we’re picking out the day’s outfit. I’m probably biased, but she’s got great taste, too—her friends love to check out what she’s wearing and gush over her wardrobe. So, I thought it would be great to give her an upgrade in the fashion department!! 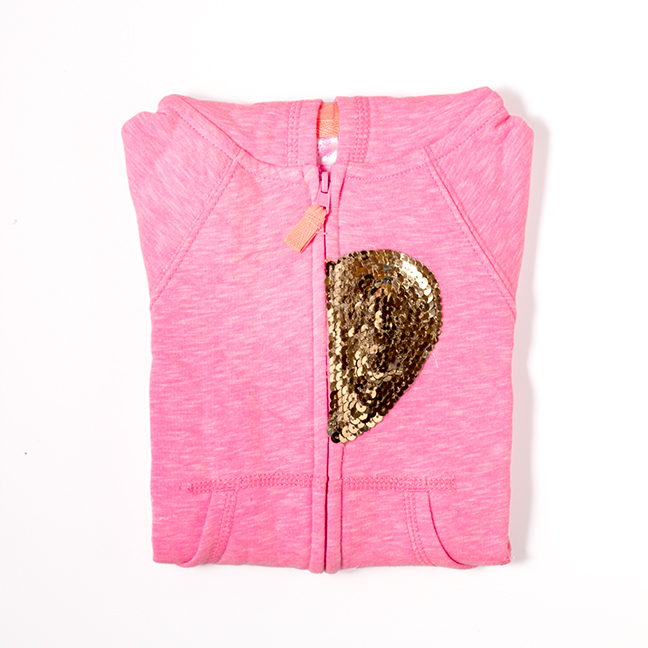 This sequin heart embellished hoodie is so easy and affordable to make that there’s no reason not to make this for your special girl! Step 2: Cut a heart out of a piece of white printer paper. I recommend you fold the paper and cut a half heart out in order to keep the heart symmetrical. Center the heart shape over the zipper seam on the hoodie, as shown. Use your pencil to trace the outside of the paper heart, drawing firmly enough to visibly mark up the fabric but not so hard that you rip any fibres. Step 3: Use your fabric glue to trace along the outline of one side of the heart, then following the zipper line, ensuring no glue hits the zipper itself. Working quickly, press the sequin trim down into the glue, following the same path. Continue to fill in the heart by repeating this process with lines inset and slightly overlapping the previous sequin trim outline. Step 4: As you finish filling up the shape, use the trim to cover any remaining holes at the centre, glue it down, and then cut away any excess. 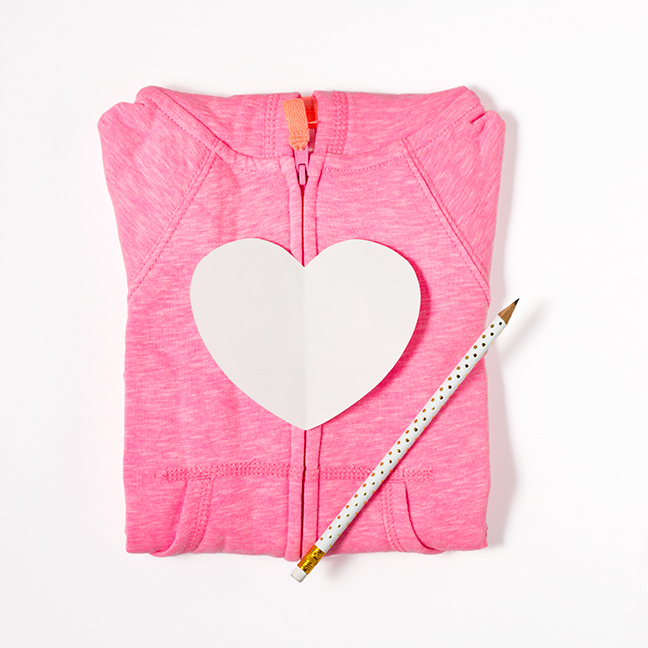 Repeat on the other side of the hoodie so that both halves of the heart are filled in to form the full shape. Step 5: Run the zipper up and down the appliqué area to make sure the zipper can get through. Clean up any excess glue (Windex on a paper towel or glass cleaner wipes are super helpful for tough, dried-on glue! 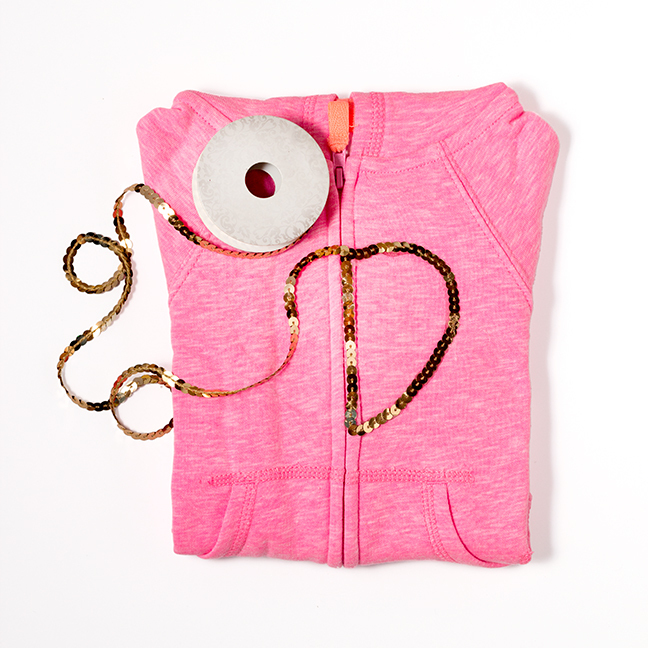 ), and then set the hoodie aside per the glue’s manufacturer directions before wearing. 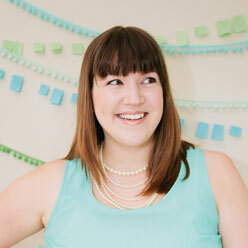 Photos by Maddy Hague of Splendid Supply Co. for Mumtastic.